Many job seekers and others both inside and outside the retail automotive industry have the misconception that working as an automotive service technician exclusively means rotating tires, changing oil and other greasy, “wrench turning” tasks. While this might have been true up until a few years ago, it’s no longer the case. Most vehicles today also include sensors, computers and other advanced technology, meaning automotive service technician roles require much different skills than they did in the past. Today’s automotive service technicians have such advanced skills that one dealer even said they have a similar skillset to computer engineers – meaning prospective employees are also attractive to employers in other industries. To attract more qualified talent to your open fixed ops roles, you must highlight across all your employment materials that you’re looking for employees with advanced computer skills. In all your employment brand materials – including your career site and job descriptions– you should make it clear that working as a service technician is a much more skilled job than most might think. With the modern technology in modern cars, most automotive service technicians don’t even poke around the engine to figure out what needs to be fixed, but use computerized diagnostic equipment. 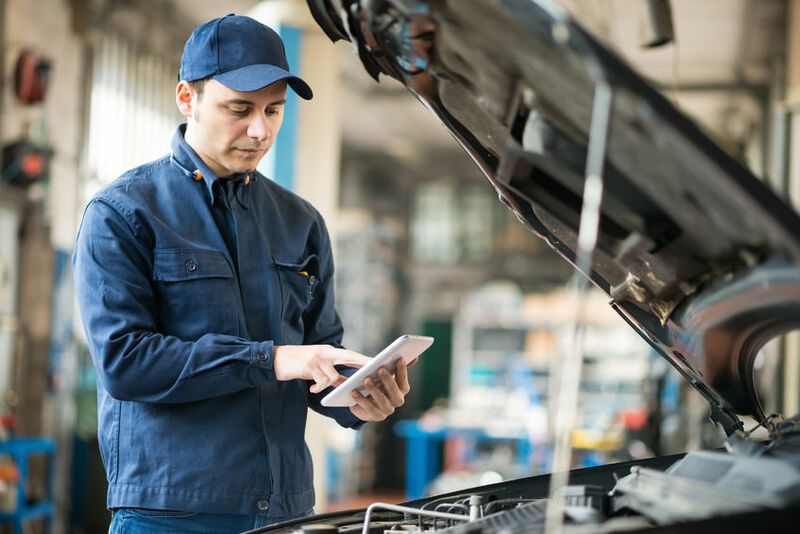 Now instead of taking several hours to diagnose what needs to be fixed, it can take as little as 30 minutes – giving service technicians more time to actually repair cars, leading to increased profitability for your dealership. In addition to understanding computerized diagnostic tools, today’s auto technicians are responsible for repairing sensors and other modern car technology – which continues to advance each year. Given the necessary technical skills, a career as an automotive service technician offers job seekers with a passion for computers and technology a great opportunity – with less required education than related roles in other industries. While it might take four or six years of education to become a computer engineer in an office environment, auto technician roles typically only require about two years of education, along with continued on the job training. In your job descriptions and on your career site, make sure to highlight career paths and growth opportunities, so prospective job applicants can see everything working at your dealership has to offer. Each year, more advanced technology is added to vehicles, meaning your service technicians need to constantly learn about how the latest technology works and how to repair it. To retain your best automotive service technicians and offer top-notch customer service, it’s critical to offer continuous on the job training. And to ensure your fixed ops staff is even more up to speed on the latest technological advancements, also consider offering tuition reimbursement for outside training and certifications. BMW is one of many automakers that is putting forth an effort to ensure technicians are well-trained and understand all vehicle technology. BMW has five national training centers and a dedicated Service Technician Education Program, also known as STEP. Through STEP, most automotive service technician students don’t pay for tuition – tuition is mostly covered by the dealerships who hire them. And while traditional training is part of the program – such as how to complete engine and transmission repairs – 90% of the training program focuses on electronic and computerized systems. Much of this training is for entry-level service technicians but technicians who have been on the job for some time are also given frequent training for specialized repairs that come with new technology. Such training provides all technicians with fundamental skills, as well as everything they need to understand the latest technology in new vehicles. If your dealership follows a similar, formal training program, you can attract more skilled technicians and ensure employees you already have on staff are doing the best work possible.